Senators advanced a bill March 14 that would require the Legislature to regularly review Nebraska’s occupational licensing laws. 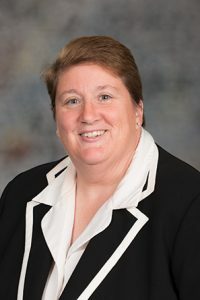 As introduced by Sen. Laura Ebke of Crete, LB299 would create a legislative office responsible for reviewing proposed legislation that would enact or modify occupational licensing regulations to ensure that they are the least restrictive means of achieving the regulations’ ends. 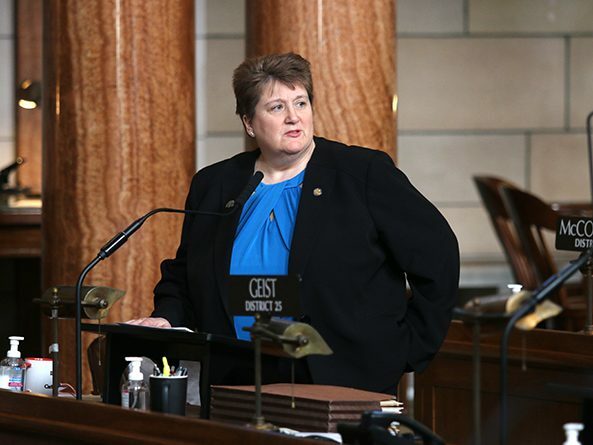 “My overarching goal for this bill is to make it easier for people to work hard and make a living in Nebraska,” Ebke said. A Government, Military and Veterans Affairs Committee amendment, adopted 27-0, would require legislative committee staff, instead of a new office, to evaluate the effects of proposed legislation on occupational licensing, compare it with policies enacted in other states and to issue a report on that legislation to the relevant committee. Ebke introduced an amendment to the committee amendment, adopted 30-0, meant to address concerns that opponents expressed during debate on the bill last month, including the scope of a report that committee staff would be required to complete. Each standing committee would be required to review and analyze approximately 20 percent of the occupational regulations under the committee’s jurisdiction each year. Committees would be required to complete that process for all regulations under their jurisdiction every five years. Committees also would be required to analyze whether the regulations meet the least-restrictive standards and to submit an annual report to the Clerk of the Legislature that includes the committee’s recommendations on whether the occupational regulations should be ended or modified. Like the original bill, Ebke’s amendment also would accelerate the process by which those with criminal histories could determine whether their conviction would disqualify them from obtaining an occupational license. A person with a criminal conviction could petition an occupational board at any time for a determination as to whether the person’s conviction would disqualify him or her from obtaining a license. The board would be required to make its determination within 90 days of receiving a petition and could charge no more than $100 for each petition. Ebke said her amendment also would address concerns that the bill could conflict with the state Department of Health and Human Services’ credentialing review program, also called the 407 process. The 407 process reviews proposals for changes in scope of practice or for new credentialing of health professions. A technical review committee, the state Board of Health and the director of the Division of Public Health evaluate the proposals to determine whether they would benefit public health and welfare. They then submit reports to the Legislature’s Health and Human Services Committee to assist them in evaluating bills related to credentialing. Ebke’s amendment would require committees to review those reports when developing their recommendations on occupational regulations that are under review. Omaha Sen. Sara Howard and Bellevue Sen. Sue Crawford supported Ebke’s amendment, but they said they would continue to work with Ebke on another amendment to the bill ensuring that it would not conflict with the 407 certification process. Sen. John McCollister of Omaha also supported Ebke’s proposal, saying that it represents a more comprehensive approach toward licensure than what currently exists. Reviewing and eliminating requirements that are too restrictive would help more people pursue their chosen occupations and support their families, he said. “This bill will combat that bureaucratic inertia that exists in government, no matter what level,” McCollister said. Also in support was Omaha Sen. Justin Wayne, who agreed that legislative committees should be required to routinely review regulations under their jurisdiction. Senators voted 31-0 to advance the bill to select file.